1929, model Elmi Favorit, cone magnetic loudspeaker, manufactured by WeiBenberg Wien, Vienna, Austria. 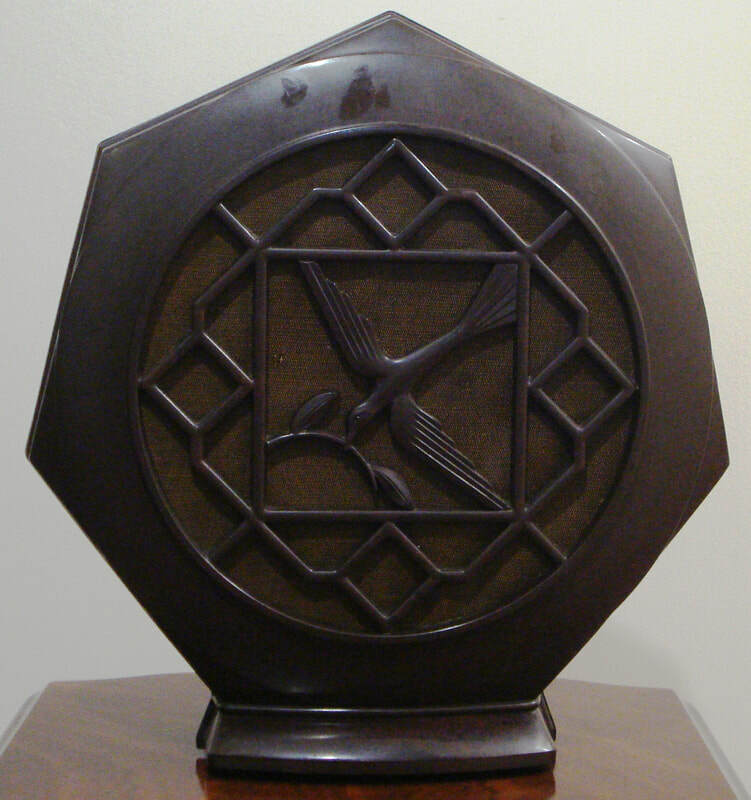 It is an art deco style box with a pigeon that picks up an olive branch in the sky and is a bakelite case construction. Dimensions (HWD) 330mm x 320mm x 90mm.